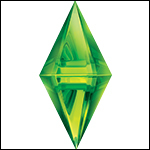 I am Chocolate and I have been simming for years, since the Sims 1 days. WHy Chocolate, you may ask? Well, I love the integrated economy way of playing the Sims. My hoods economy is based around our chocolate so thus my hood is named Chocolate City. Lovely to meet you all! I am excited to check out the forum! Thank you so much for joining. I also play that way. Chocolate? That is very interesting, I'd be delighted to hear more I've never heard about running a hood like that before.